Launched in 2007, the Claymore S&P Global Water ETF (CGW) tracks the S&P Global Water Index. The S&P Water Index tracks a portfolio of 50 global equity securities from developed markets of companies that are involved in water-related businesses. The Index is split about evenly between a group of water utilities & infrastructure companies and a group of water equipment & materials companies. Market caps range from small to large. See Claymore’s website for more information. 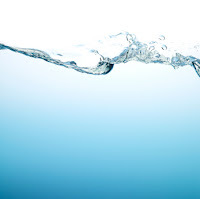 PowerShares Capital Management offers two water ETFs. The $2 billion PowerShares Water Resources Portfolio (PHO) is based on the Palisades Water Index™. The Index seeks to identify a group of companies that focus on the provision of potable water, the treatment of water, and the technology and services that are directly related to water consumption. The PowerShares Global Water Portfolio (PIO) is the global version of PHO and is based on the Palisades Global Water Index™. Over 70% of the index is outside of the U.S. with Japan, Italy, Canada, Austria and the UK as the top countries for international exposure. Learn more at PowerShares’ website. First Trust Advisors’ ISE Water ETF (FIW) tracks the ISE Water Index. The Index is comprised of the 36 largest (by market cap) companies in the potable and wastewater industry. The three largest holdings as of February 14, 2008 were Pentair (NYSE: PNR), Flowserve (NYSE: FLS) and Pall (NYSE: PLL). Learn more at the First Trust website.